What’s New at the Maroon Library? 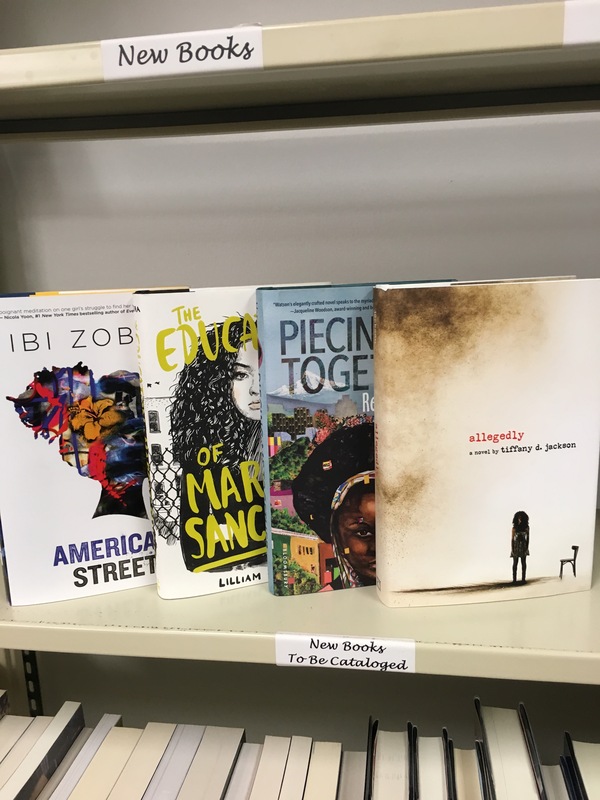 We have more new books in time for Spring Break! Pick a book and read something for fun. Here is just a sample of the new books we have in this category. Here is a list of our new books divided by topic & genre. You can find them at our new book display! Sports celebrities, the daughter of Steve Jobs and a youtube star. Coming soon: Becoming by Michelle Obama and Unpresidented: A biography of Donald Trump. We also have the DVD The Immortal Life of Henrietta Lacks. We have some great art books and graphic novels. Be sure to check out A Year Without Mom by fellow Urbana alumni, Dasha Tolstikova! Aside from some new cookbooks we also have a subscription to Food Magazine. (Tasty cookbook is coming soon). Check it out! Here’s the rest of our amazing books. Stop by the library soon! The Lincoln Award is an Illinois student choice award. That means only students in high school across the state of Illinois can decide which books wins. Students that read at least four books from the Lincoln Nominees list of 20 books, get to vote in March for the book they think is the best. That’s right! When you check out a book, you now have 4 weeks to get it back to us. The library is a choice for students in advisory. If you are getting all As and Bs in your classes, you can select the library or study hall. 6th hour is your one break in the day. If you want a quieter atmosphere to read or get some work done, the library is a great choice. Having an issue with your Chromebook? Stop by Chrome Depot. The office is just past our magazine section. Chrome depot is open from 7:45am-1pm and 3:20-3:45pm. Welcome back to your Maroon library! Take our 3 question survey and let us know what Manga series YOU want to see @ your Maroon library! or click on the link (you will need to be logged in to your u4sd account to participate).